I had coffee with a professional acquaintance this morning, and she advised me to target my services here on Mighty Forces to women business owners. They'd have more money to spend than an individual without a business behind her, she reasoned, and could therefore justify an investment in telling their story as an investment in marketing their business. This is excellent advice. The thing is, it's not what Mighty Forces is about. Yes, telling your story online, as a business owner, can and will allow you to market your business more effectively. It will build your brand. It will, ultimately, drive revenue. 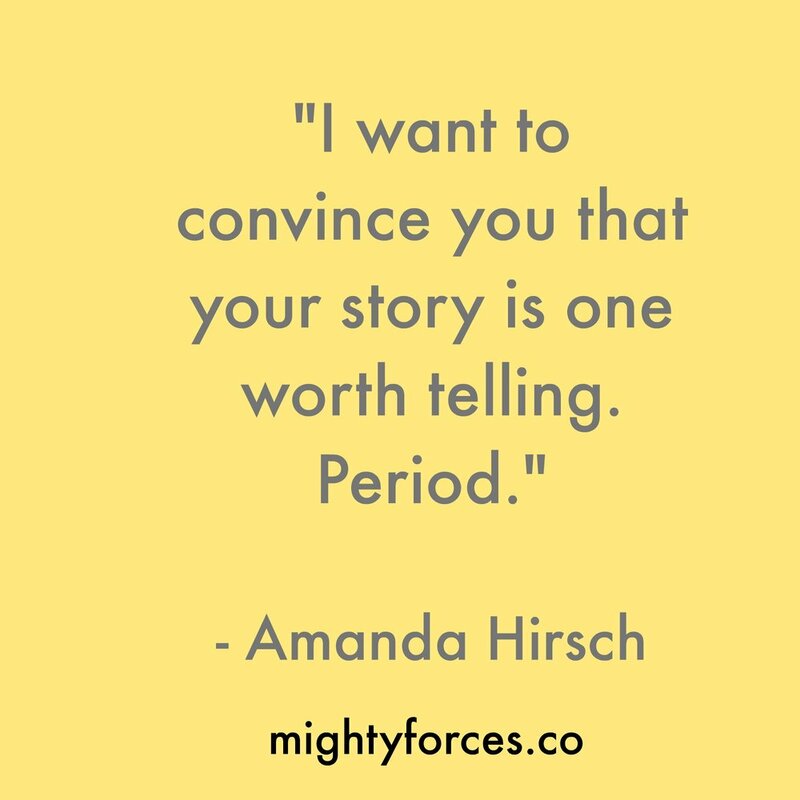 Likewise, regardless of your career, telling your story in a compelling way will help you achieve your goals, whatever they may be — new job, book deal, you name it. But that's not the only reason you should tell your story. You should tell your story because it matters. And because the world needs more women's stories. We women get paid less, in this world, and abused more. We don't need to take this. We don't need to accept this story. And while we work for systemic change and policy change, one step that each and every one of us can take is to tell our own story. To declare who we are, to step out of the shadows. I believe in every fiber of my being that doing so changes the shape of the world. It changes how we feel about ourselves. It allows us to be inspired by each other. It lets men see us in bigger and different ways. So please. Begin to tell your story. And if you need help, let's talk.